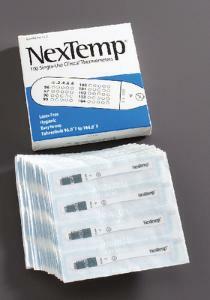 These affordable, single-use thermometers are accurate yet eliminate the need for sterilization between uses. The last dot on the scale to turn from green to black indicates the correct temperature, and the results work for either oral or axillary readings. 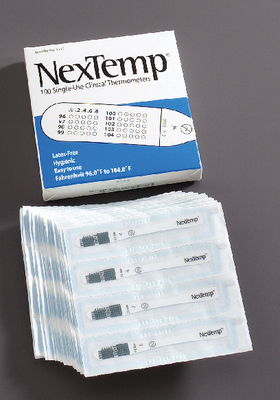 The mercury-free, individually wrapped thermometers have a range of 96.0 to 104.8°F in 0.2° increments.